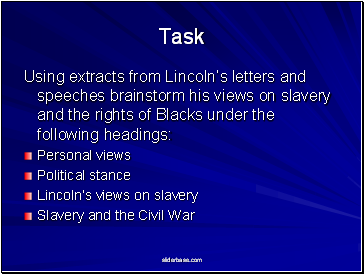 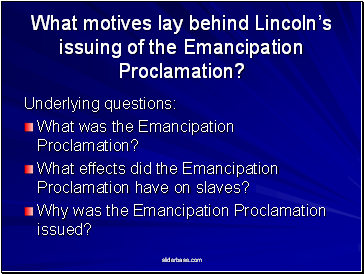 What motives lay behind Lincoln’s issuing of the Emancipation Proclamation? 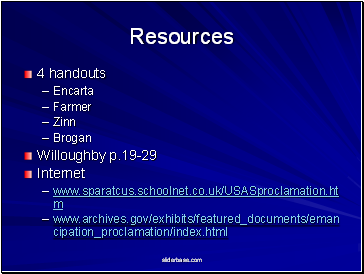 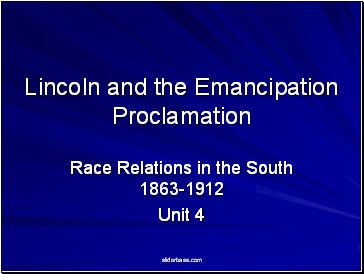 What effects did the Emancipation Proclamation have on slaves? 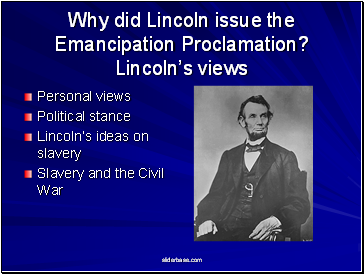 Why was the Emancipation Proclamation issued? 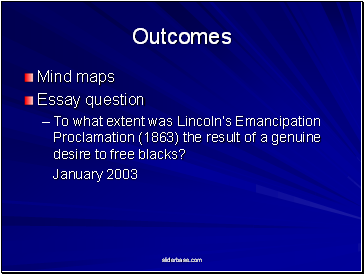 To what extent was Lincoln’s Emancipation Proclamation (1863) the result of a genuine desire to free blacks? 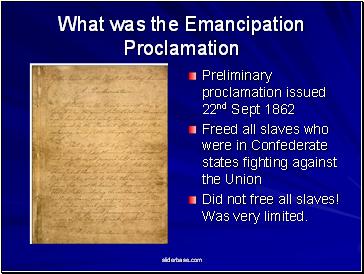 Did not free all slaves! 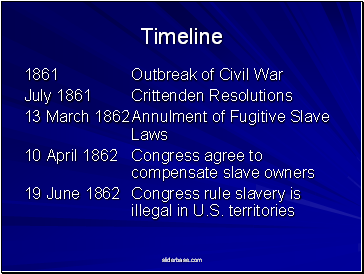 Was very limited. 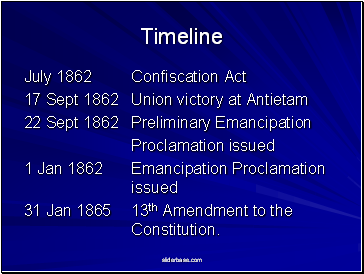 31 Jan 1865 13th Amendment to the Constitution.